The 6V6 is a low-output power tube (12-18 watts) often used in Groove Tubes amplifiers, including the Champ, Deluxe, Dual Professional, Vibro-King, Princeton, Vibrolux and others. It has a very warm, round and soft response with rich harmonics, and distorts easily. One of the best choices ever produced for rehearsal and recording amplifiers. Our most premium design, for long life and professional performance. 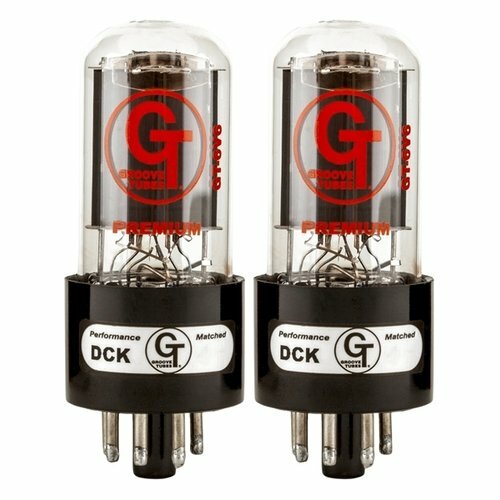 The choice for many pro players who use Groove Tubes in their favorite amps for recording and rehearsal; fully captures the spirit and sound of tube amps from the ’50s and '60s to the present.